The study took brain scans while people viewed and selected various foods. On a platter of cheese, pretzels and donuts, most people will probably reach for the donuts, according to a new study. That could be because the brain values foods like donuts, with both fats and carbohydrates, more than foods high in only fats, like the cheese, or only carbs, like the pretzels. People could be wired to want that deadly combo: Fats and carbohydrates together. "We were interested in exploring mechanisms that drive food reinforcement," lead author Dana Small, director of Yale University’s Modern Diet and Physiology Research Center, told ABC News. So how do the digestive and emotional system work for different types of macronutrients, like carbs and fats? And how do "man-made," processed foods that contain both fats and carbs affect these mechanisms? To find out, the researchers took fMRI images of participants' brains while showing them photos of different foods. They were given a limited amount of money they could use to bid on their first-choices of the foods. Their answers were telling. Most were willing to pay more for foods with fats and carbs together -- mostly processed foods like donuts, M&Ms or hamburgers -- as opposed to foods with just carbs, like bread and pretzels, or those with fats and no carbs, like cheese or salami. 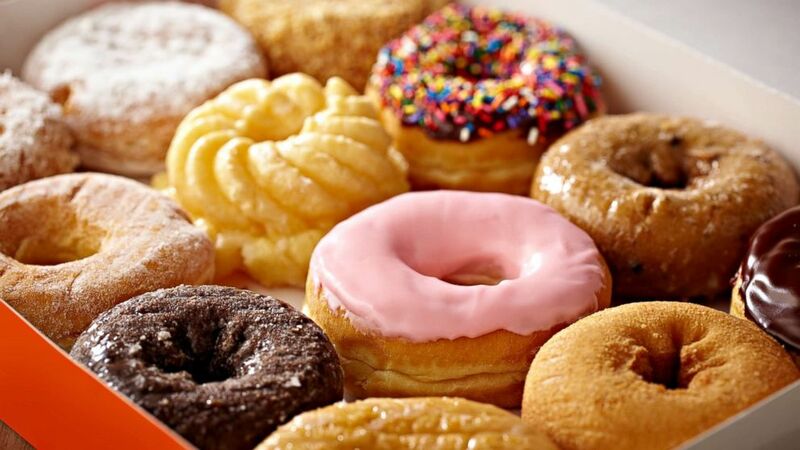 (stock photo/Getty Images) Box of donuts. The brain scans showed participants' brains lit up more when they were shown foods containing fats and carbs, regardless of the number of calories, amount of sugar or portion sizes. This suggests that foods with both fats and carbs activate the reward centers in the brain and are more alluring and habit-forming, almost the same way drugs are addicting. The participants were also not as good at predicting the number of calories of foods with fats and carbs together, or carbs alone. They were better at guessing the calories of foods with just fats. "Our study shows that when both nutrients are combined, the brain seems to overestimate the energetic value of the food," Small said. The findings of the study suggest that the brain may have distinct pathways that guide information about the fat-and-carb combination foods. This study may also provide "important insight in understanding how the food environment is contributing to the obesity and diabetes pandemic," Small said. But,the study was limited in some ways: It did not evaluate what participants normally consume in their lives. What if somebody eats a lot of M&Ms normally – or never eats M&Ms, but is offered some? In addition, this was a small study done in Western Europe and eating habits can differ by culture. Small said further research could give more information about why people crave the foods known to lead to obesity, why people eat even when they aren't hungry, why it is difficult to lose or keep off excess weight and how the brain-gut connection works for people with eating disorders.